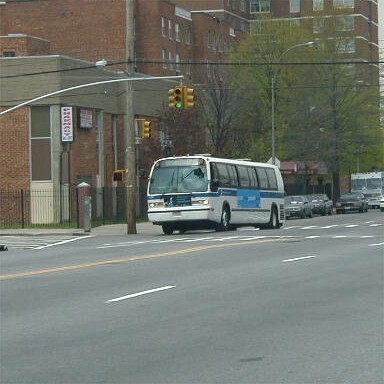 NYCTA #5118 working route Bx39 at East Tremont Avenue & White Plains Road. Photograph taken April 28, 2000 by David Justiniano; collection of I.J. Clark.